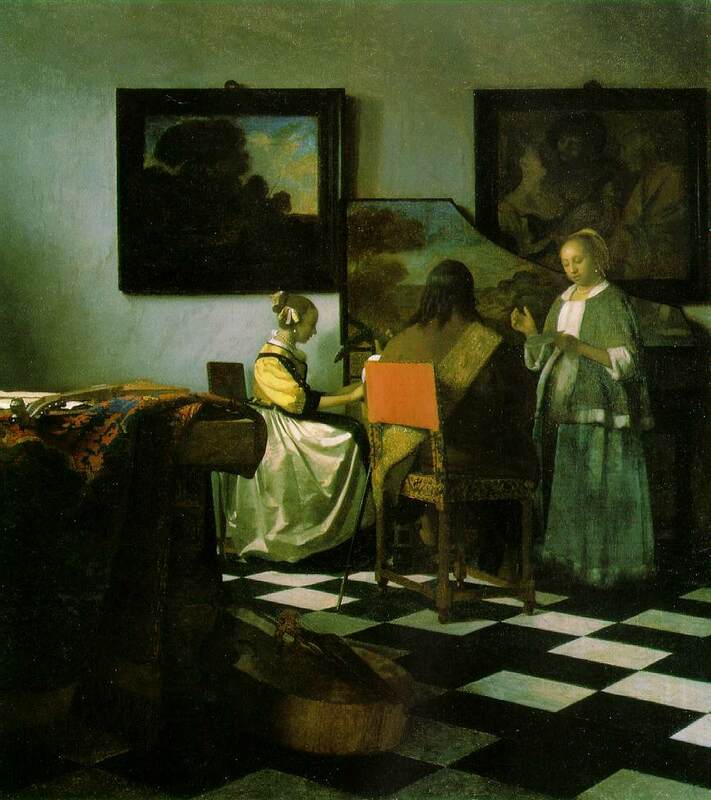 Little is known for certain about Vermeer's life and career. He was born in 1632, the son of a silk worker with a taste for buying and selling art. 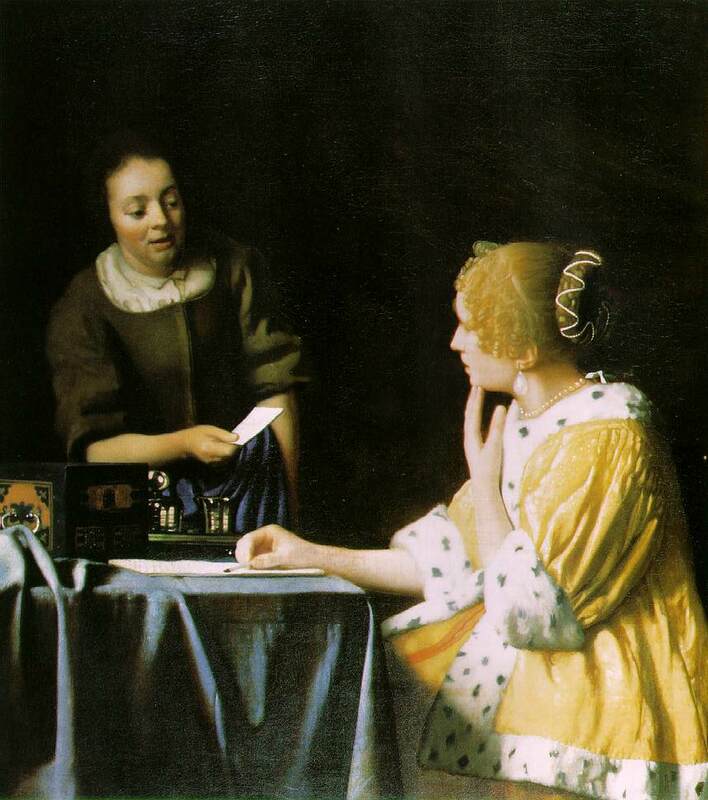 Vermeer himself was also active in the art trade. He lived and worked in Delft all his life. 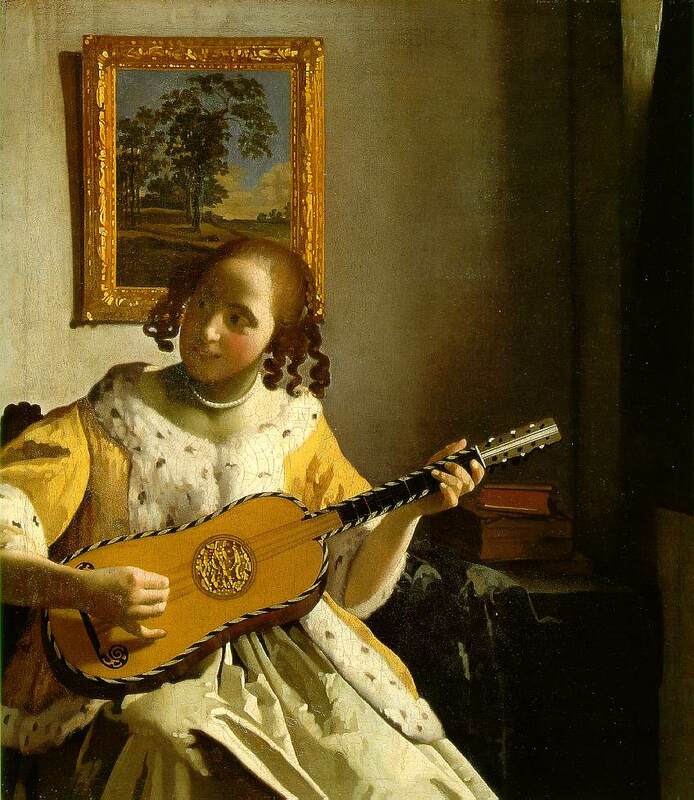 Not much is known about Vermeer's apprenticeship as an artist either. His teacher may have been Leonaert Bramer, a Delft artist who was a witness at Vermeer's marriage in 1653, or the painter Carel Fabritius of Delft. In 1653 he enrolled at the local artists guild. 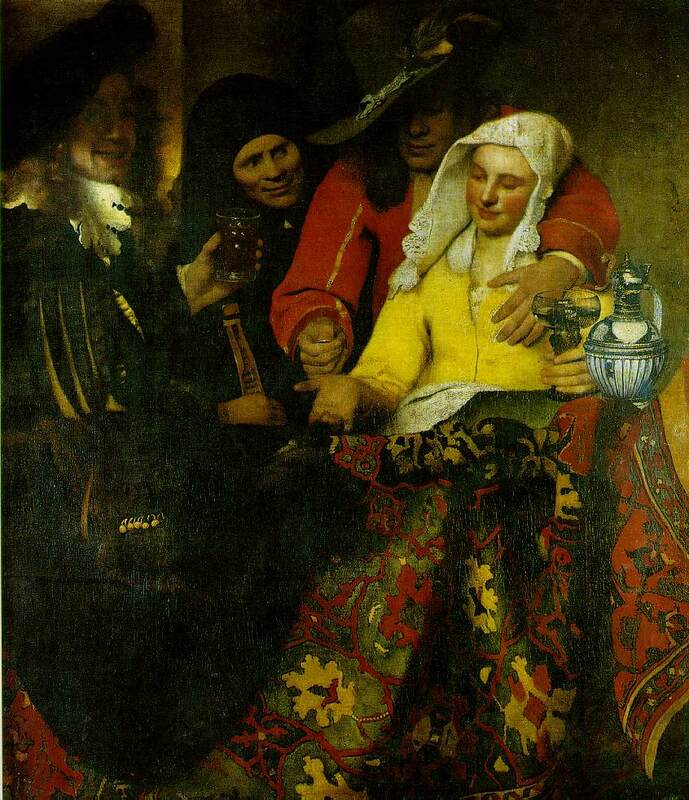 His earliest signed and dated painting, The Procuress (1656; Gemaldegalerie Alte Meister, Dresden), is thematically related to a Dirck van Baburen painting that Vermeer owned and that appears in the background of two of his own paintings. Another possible influence was that of Hendrick Terbrugghen, whose style anticipated the light color tonalities of Vermeer's later works. View of Houses in Delft, known as "The Little Street"
During the late 1650s, Vermeer, along with his colleague Pieter de Hooch, began to place a new emphasis on depicting figures within carefully composed interior spaces. Other Dutch painters, including Gerard Ter Borch and Gabriel Metsu, painted similar scenes, but they were less concerned with the articulation of the space than with the description of the figures and their actions. 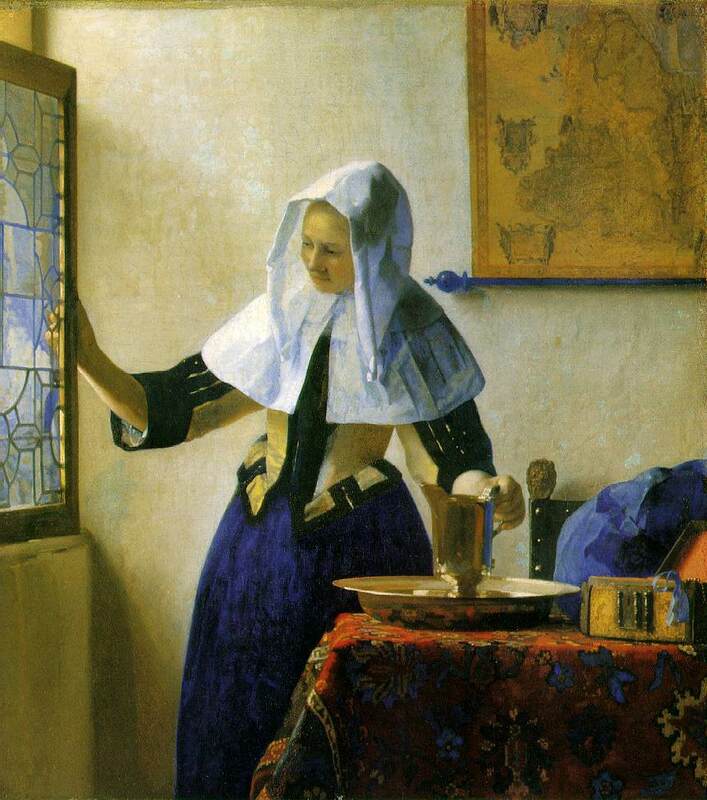 In early paintings such as The Milkmaid (c.1658; Rijksmuseum, Amsterdam), Vermeer struck a delicate balance between the compositional and figural elements, and he achieved highly sensuous surface effects by applying paint thickly and modeling his forms with firm strokes. Later he turned to thinner combinations of glazes to obtain the subtler and more transparent surfaces displayed in paintings such as Woman with a Water Jug (c.1664/5; Metropolitan Museum of Art, New York City). A keen sensitivity to the effects of light and color and an interest in defining precise spatial relationships probably encouraged Vermeer to experiment with the camera obscura, an optical device that could project the image of sunlit objects placed before it with extraordinary realism. 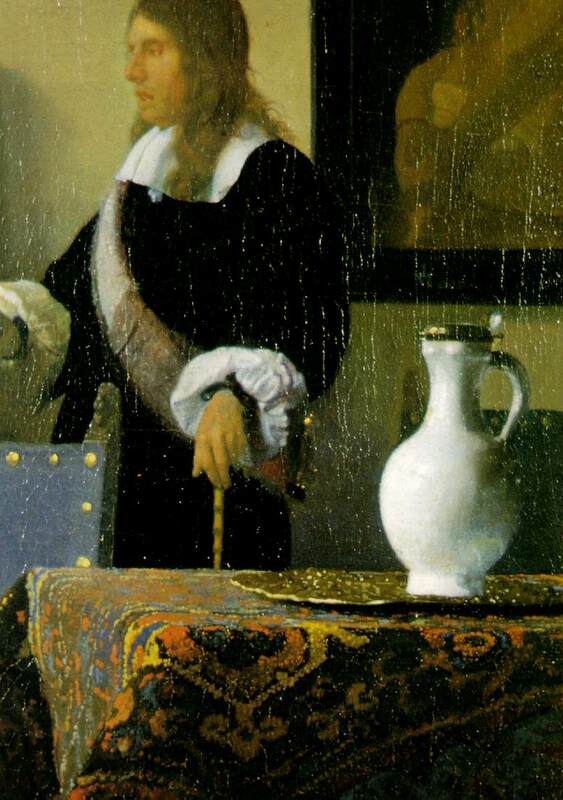 Although he may have sought to depict the camera's effects in his View of Delft (c.1660; Mauritshuis, The Hague), it is unlikely that Vermeer would have traced such an image, as some commentators have charged. 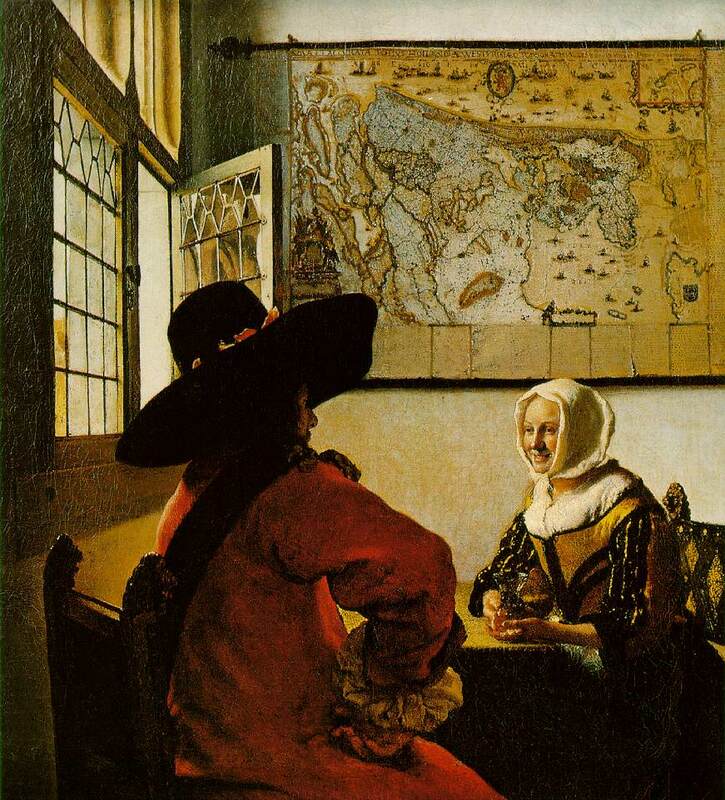 Moralizing references occur in several of Vermeer's works, although they tend to be obscured by the paintings' vibrant realism and their general lack of narrative elements. In his Love Letter (c.1670; Rijksmuseum, Amsterdam), a late painting in which the spatial environment becomes more complex and the figures appear more doll-like than in his earlier works, he includes on the back wall a painting of a boat at sea. Because this image was based on a contemporary emblem warning of the perils of love, it was clearly intended to add significance to the figures in the room. After his death Vermeer was overlooked by all but the most discriminating collectors and art historians for more than 200 years. His few pictures were attributed to other artists. Only after 1866, when the French critic W. Thore-Burger "rediscovered" him, did Vermeer's works become widely known and his works heralded as genuine Vermeers. 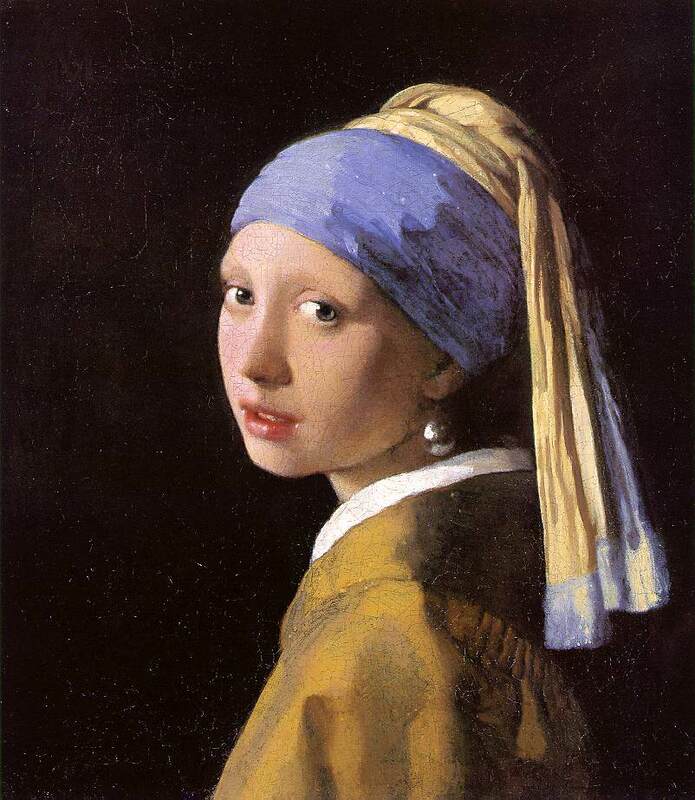 Barely 35 works are known to have been painted by Vermeer. His early paintings - mainly history pieces - reveal the influence of the Utrecht Caravaggists. In his later works, however, he produced meticulously constructed interiors with just one or two figures - usually women. These are intimate genre paintings in which the principal figure is invariably engaged in some everyday activity: one is reading a letter, another is fastening a collar about her neck, yet another is pouring out milk. 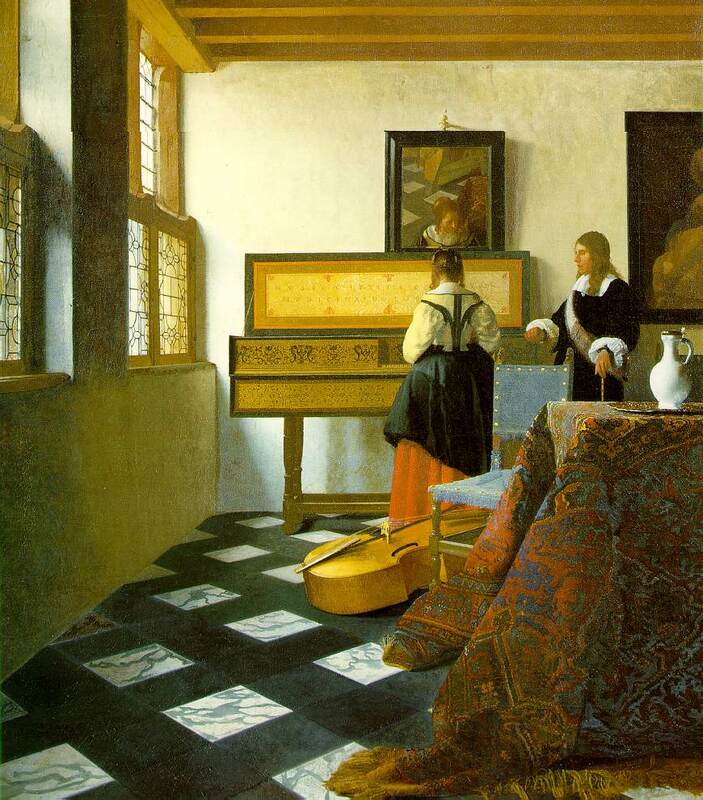 Often the light enters Vermeer's paintings from a window. He was a master at depicting the way light illuminates objects and in the rendering of materials. The Rijksmuseum has three domestic portraits by Vermeer and one street scene: the world-famous Little Street . 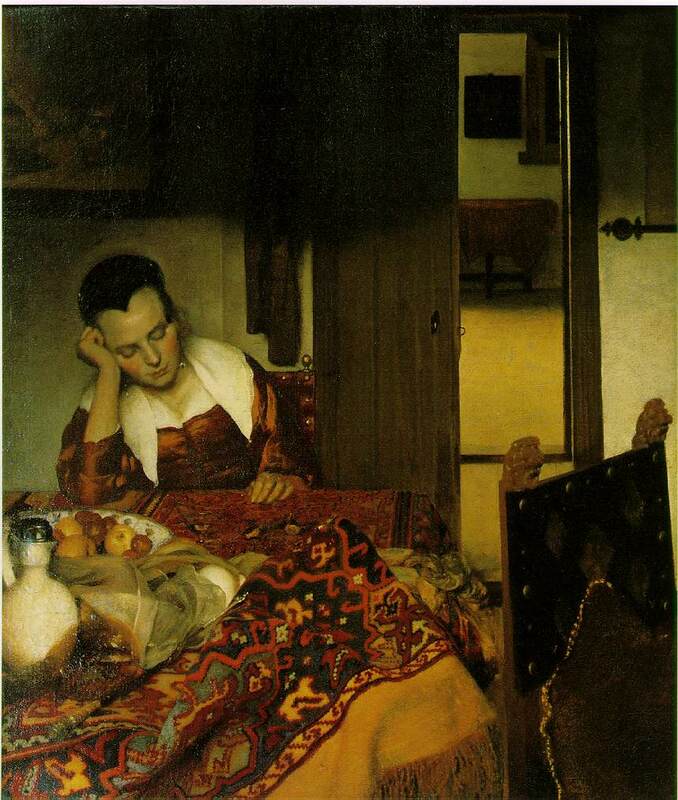 To Roy Williams' Paintings of Vermeer (caltech).